Seniors: Micah Abernathy, Todd Kelly Jr.
Tennessee’s roster is full of question marks at most positions, but the one area Vol fans should feel pretty confident about is UT’s safeties. This unit returns the most experience of any other on the Vols’ roster, and they have one of the biggest defensive play-makers on the team too. Micah Abernathy, Todd Kelly Jr., and Nigel Warrior return a combined 51 starts heading into the 2018 season. Abernathy returns the most with 22 starts, and Kelly Jr. is the most veteran player on the Vols’ roster as he heads into his fifth season with Tennessee. Warrior had a breakout season as a sophomore last year and has All-SEC potential heading into his junior year. Abernathy has been a solid contributor for Tennessee the last two seasons. He may not be the most explosive player the Vols have ever had at safety, but he’s been fairly consistent and hasn’t made too many mistakes. He should be an anchor for the defense, a player the front seven knows they can rely on. Kelly Jr. flashed a lot of potential early on in his career and made some big plays in 2015 and some in 2016 as well. But last year was a step back for him, as he appeared in only a couple games before he was sidelined the rest of the season with injury. He took a medical redshirt to come back for a fifth season, and he’s arguably the most experienced player on Tennessee’s entire roster. The starters are projected to be Abernathy and Warrior with Kelly Jr. providing support as the main backup as a third option. But the rest of the depth is where the question marks come in for this unit. Theo Jackson performed well when asked as a true freshman last year. He started out primarily on special teams, but he had to step up when injuries happened or to spell the Vols’ starting safeties in SEC play. He has a lot of potential and seems to be a very physical, gritty player. There’s a good chance he takes that fourth spot behind Kelly Jr. this season. But Jackson will have plenty of competition for that other backup role assuming there’s no more roster shakeup. Maleik Gray was a highly-rated four-star prospect coming out of high school, but he’s yet to live up to that hype so far at Tennessee. He did see some time at cornerback in the spring, so it remains to be seen if he stays there or comes back to the safety position in the fall. Marquill Osborne has also been moving around. He started out as a corner but has taken reps at safety too. He may end up where Gray doesn’t, so he’ll be worth watching this fall as well. Newcomer Trevon Flowers is another versatile defensive back. Pruitt and his staff were ecstatic to add Flowers late in the 2018 cycle, and despite his somewhat lower ranking as a three-star, Flowers has undeniable potential. He should be able to contribute right away on special teams as a true freshman, but his impact on the defensive side of things should be minimal this year unless injuries force him into action. The Vols likely know what they have with their starters at safety, but there’s very little experienced depth at this unit. 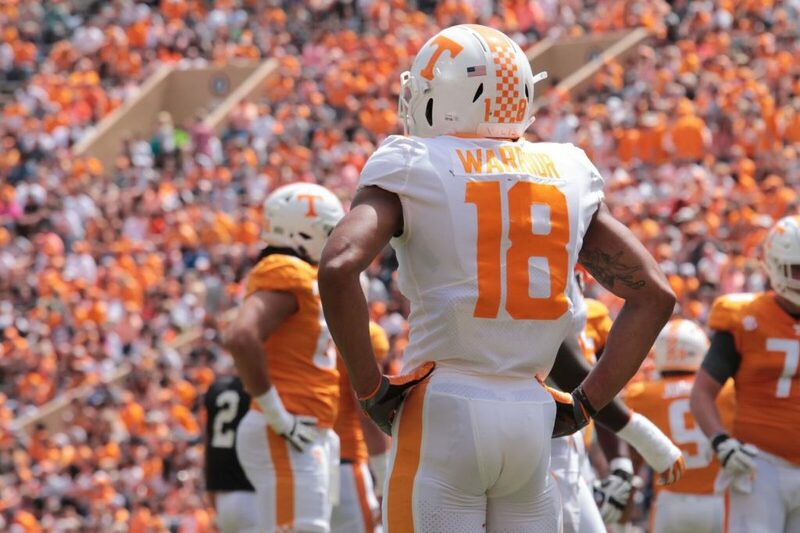 Luckily, Tennessee hasn’t dealt with much injury with their safeties the last couple seasons (with the exception of Todd Kelly Jr. last season), so Abernathy and Warrior should be able to be relied upon to carry the load this season. With a roster full of unknowns, it’s nice to have one unit you can rely on. And Tennessee’s safeties should be able to do just that for Pruitt’s first defense.